Welcome to the Dublin Concert Band (DCB) website. Since its formation in 1958, the DCB has been an important element of the cultural life of Dublin, Ireland’s capital city. For over 60 years, DCB has provided wonderful musical entertainment for its audiences both at home and abroad and over that same time well over 1,000 talented and enthusiastic musicians have passed through the doors of DCB. Many have gone on to become professional musicians whilst all have enjoyed the wonderful social and musical experience that membership of DCB brings. The band has a vast repertoire of music which includes the fantastic sound of the Big Band era, the great masterpieces of the classical composers, marches, hits from Broadway musicals, modern wind band works and popular classics. It also offers a wide selection of Irish music, from traditional to modern. Feel free to explore the website to find out more about DCB and whether you are a musician interested in joining DCB or are interested in using the services of DCB or indeed wish to reach out to us you can Contact us here. 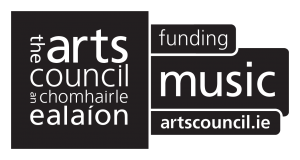 Supported by Music Network’s Music Capital Scheme, funded by The Department of Arts, Heritage, Regional, Rural and Gaeltacht Affairs.